Offering high quality custom tattoos and body piercings in a professional studio environment. 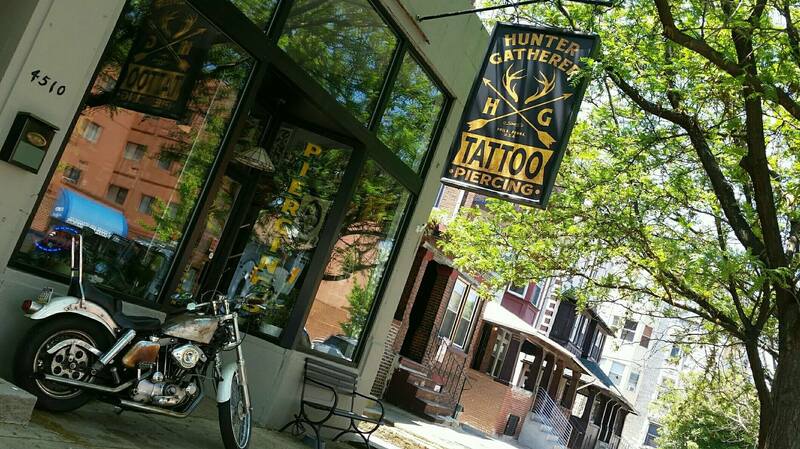 Here at Hunter Gatherer Tattoo and Piercing, we strive to give our customers high quality body art services in a professional, clean and courteous environment. We are proud to offer all custom work designed just for you by our talented artists. Our staff of professional artists are: Mike Munter, Jennifer Rahman, Dana Jones, Clay Willoughby, and Dale Callahan. From time to time we are host to talented guest artists from all over the country. Our Piercers are: Dave Hurban and Dominick Caswell. They offer safe, hypoallergenic jewelry for piercing. We also have boutique hand-crafted jewelry for sale in the shop.